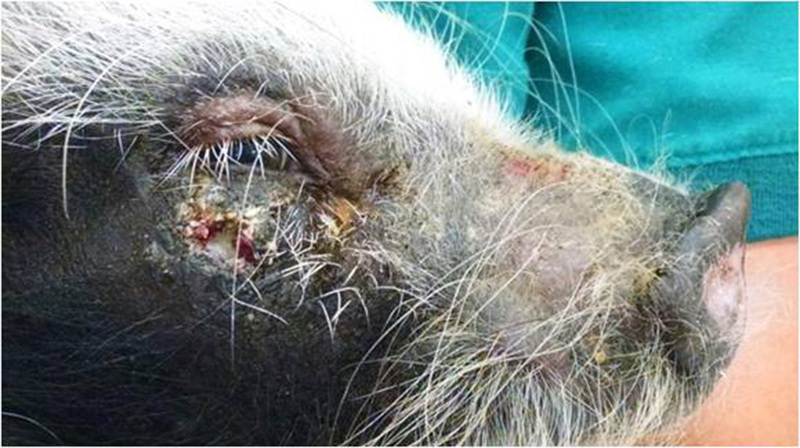 A teacup pig named “Ham Newton” was presented with alopecia, abscesses and hyperkeratososis in the facial region, comedones near the mouth, ear pinnae and nose, pruritis, and weight loss. Repeated deep and superficial skin scrapings were performed and the organism below was collected on a slide. 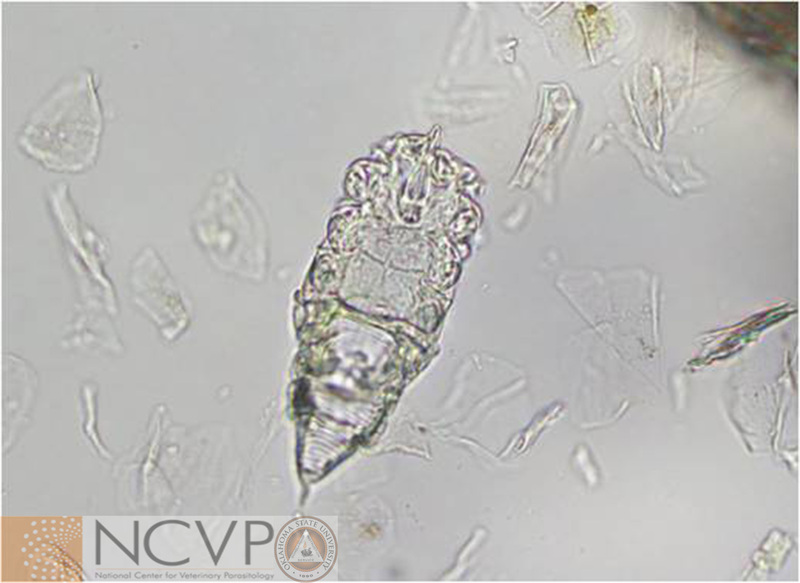 This parasite is Demodex phylloides, which is part of the normal cutaneous fauna of pigs. 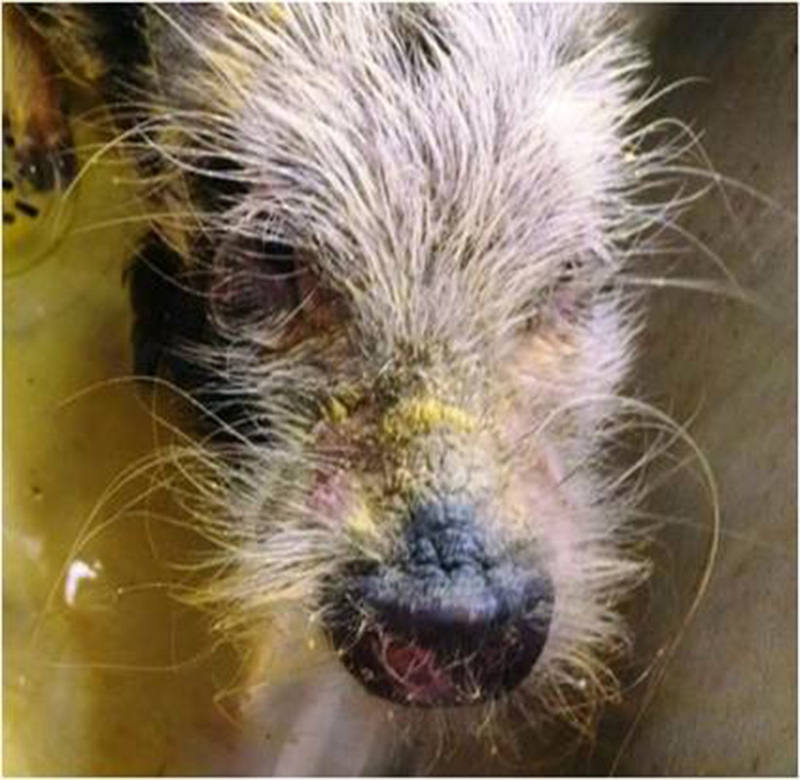 As with dogs and cats, demodectic mange in pigs is only seen in immunocompromised animals, or those with severe nutritional deficits. Case and photos provided by veterinary student Kayla Swaney (Auburn University, College of Veterinary Medicine, Class of 2015).